There is an old joke: “The fastest way to become a millionaire is to be a billionaire and buy an airline”. The airline will lose money so fast the billionaire will see his fortune quickly destroyed. We need look no further than our own Sri Lankan national carrier’s capacity to lose money to see the grisly grim truth in this joke. In business having money doesn’t guarantee success. Money is not enough to guarantee success, but it is necessary to grow a business. A business needs money to employ more people, make more products, capture new markets, create better opportunities, provide greater incomes, diversify, innovate, and create prosperity. And to generate more taxes to pay for schools and roads and hospitals and lots of other vital things. The Sri Lankan Government has subsidised loan schemes aimed at Small and Medium Enterprises (SME) and Micro Enterprises. According to government data SMEs contribute more than half Sri Lanka’s GDP. These subsidy schemes work by the government encouraging the banks to provide loans at a low interest rate, some at less than half the normal commercial rate. For example with the Jaya Isura Loan Scheme, the borrower pays 6.75% interest, and the Government promises to pay an additional 6.75% interest direct to the bank. So the bank should end up with a total 13.5% interest income so long as the Government pays its share. Sadly I discovered the dismal reality of these schemes when I met the head of SME (Small and Medium Enterprise) lending of a private bank at its HQ in Colombo in February 2019. He told me private banks are very reluctant to give these loans. He explained that the government is not reliable paying its share of the interest to the banks. The banks, who have to pay depositors over 10% interest, would actually lose a lot of money by making loans to SMEs at rates that can be less than 6%. For example the government’s Swashakthi loans to micro businesses are at 5.5% interest. The Jaya Isuru loans targeted at SMEs, which can be up to Rs100 million, cost the borrower 6.75%. Private banks decline to take such losses, leaving the government controlled State Banks to bear the burden. Normal unsubsidised business loans in Sri Lanka charge interest rates in excess of 16%. Rates that would cripple a business looking to borrow large amounts relative to its turnover. So what happens to them? Here is the story of a small businessman, with an impressive track record, who is struggling to raise money either by loan or by finding an investor. I am grateful to Mr. Kandan Siva for allowing me to use his case as an example, even waiving his anonymity. I first met Kandan soon after I moved from London to Jaffna in 2015. I was walking back to my apartment after a Friday afternoon with St John’s College English Language Debating Society. I stopped at the café in Old Park for a cool fruit juice and struck up a conversation with the owner, Kandan. It turned out he is an old boy of St John’s, and his son is a student there. I didn’t meet Kandan again for a couple of years when he was doing th e catering at a Yarl IT event I had been invited to. I asked him if he would give me an hour of his time one day for me to interview him, hence this article. Kandan was born in Meesalai, a village close to Chavakachcheri one of the main towns on the A9 just before you get to Jaffna Town itself. After a few years in Chavakachcheri Hindu College Kandan’s parents sent him to St John’s College, one of Jaffna’s most prestigious boys schools. Having completed his A’Levels at St John’s, Kandan went to India to qualify in Aircraft Engineering. Like many others, the course of Kandan’s life was fundamentally changed by the civil war. In 1988 he paid an agent to get him to Canada to escape the conflict. The agent got him to what was then called Bombay (Mumbai), and on to Calcutta (Kolkata), but he couldn’t get Kandan beyond Nepal. Stuck in Northern India, Kandan using his English language skills became a tour guide. Initially, he didn’t take payment but was rewarded by the tourists with gifts of shirts and the like. There he met an Assamese guy who specialised in tourists from Russia as he had links in that country and spoke their language. This Assamese guy had a tour company with branches in various cities including Chennai. Kandan was offered and accepted a job. Operating out of Chennai, Kandan focussed on the Sri Lankan Tamil Diaspora. Unable to visit Sri Lanka, from where they had fled the war, these people instead came to South India. Here they could find a place with similar climate, food and culture that they remembered from happier pre-war days in Sri Lanka. The Assamese guy promoted Kandan to be his partner in the business, and after awhile he left Kandan to move to Russia. In 1991 Kandan started his own company in India. Kandan was soon employing a dozen staff, and was leasing several guest houses which he ran directly. He took loans from people he met as his customers, and bought a fleet of cars which took tourists around the country. Kandan’s tours ran from the North to the South of India as well as Nepal. His clients were mainly Sri Lankan Tamils who had moved to Malaysia, Singapore, and Indonesia. In particular he arranged tours to Varanasi, considered by some to be the spiritual capital of India, where he had an arrangement with a priest to take care of his clients. In Chennai Kandan bulk booked slots, 50 at a time, at two wedding halls getting a 70% discount on their normal rates. He ran a successful event management business, arranging celebrations from birthdays to weddings. Kandan told me, “the bride and groom only had to invite their guests, turn up and tie the thali!”. Kandan commented that his combined businesses were very profitable. In 2009 Kandan sold the company. Two key changes influenced this decision. The Travel Industry was going online, squeezing out tour operators like him. And with the end of the Sri Lankan Civil War the Sri Lankan Tamil Diaspora were no longer coming in such large numbers to South India for a taste of Tamil Culture. They were going back to Sri Lanka again. Until 2011 Kandan stayed in Chennai with his wife, who he met and married in India, and two small children. In 2011 Kandan’s elderly father, who had migrated to Canada, decided he wanted to return to Jaffna. Kandan decided to bring his family back too, and they returned to the family’s ancestral property in Meesalai which includes 6 acres of coconut estate. So Kandan moved from tourism to the food production industry. In 2012 the Chavakachcheri Food Producers Cooperative Society (CFPCS) asked Kandan to help them to develop a business plan. This was done with the support of the CEFE NET Sri Lanka (Competency based Economics through Formation of Entrepreneurs) organisation, originally conceived by the German GIZ agency for international cooperation. CEFE says about itself “Rather than solely transmitting information, CEFE trainings aim at creating competences including knowledge, attitudes, skills and habits. The trainings enhance the participants’ ability for self-organised decisions and action taking in complex and continuously changing systems”. After this workshop, CEFE NET asked Kandan to become their Jaffna Centre Manager for the CFPCS cooperative society. In his two years with the CFPCS Kandan learned to make juices and ice creams, to make various vegetable oils (coconut, soya), how to preserve food by drying and by chilling, how to manufacture wheat flour, as well as health and safety standards. The UNDP provided the cooperative with machinery and tools, including a machine to put pasteurised juice into sealed sachets for retail sale. The UNDP also provided cage traps for monkeys who were eating the crops, such that the monkeys could be taken unharmed to be released in Wilpattu National Park. Being able to increase productivity and add value in this way to their agricultural produce, the Chavakachcheri Food Producers Cooperative Society was able to multiply its income during Kandan’s time in charge. By 2014, for reasons including disagreements with the CFPCS committee, Kandan resigned his official post to become an ordinary member. Kandan continued his learning, attending a course in “Hazard Analysis and Critical Control Points”, relating to food safety from biological and chemical hazards, given by two professors, one from the USA and one from Russia. And he became a Trainer Of Trainers for the Sri Lanka Food Processors Association, which he did for 6-7 months. 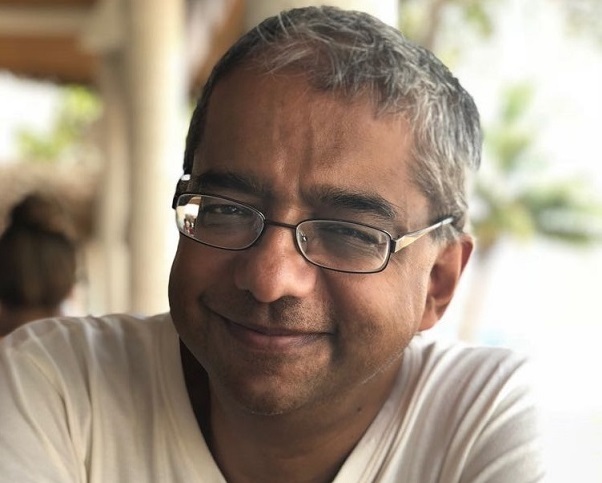 With all his knowledge of food processing and health standards Kandan decided, with investment from a friend in Canada, to start a food outlet providing fresh fruit and juices and healthy food. 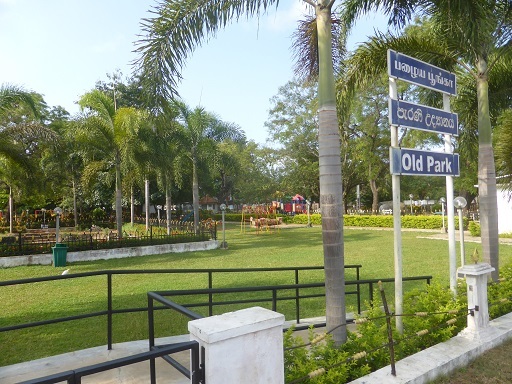 Right next to his old school, St John’s College, is Jaffna’s “Old Park”. Originally created by a British Government Agent in the early 19th Century as the gardens to his residence, the Old Park is now an attractive and popular recreation area for families. Go past there today and you will see well kept lawns and shrubs, a play area with climbing frames and other equipment for children, and a very nice café. In 2012 drinks and ice cream were served from the security guard’s hut in the park. Kandan won the tender, done by the Jaffna Municipality, to sell refreshments in the park. Through the Municipal Commissioner Kandan got an appointment to meet the then Governor, Major General Chandrasiri. Having just spent Rs20 million to refurbish the park, the Governor wasn’t keen to invest more in that location. However, Kandan convinced Chandrasiri that such a beautiful park needed a good quality café. The Governor gave Kandan two weeks to come up with a design proposal. Kandan said he would provide it in 30 minutes and drew it on the spot. With the proposal in his hand the Governor made the immediate decision to have the café built within one month. It was to be ready for the then President Mahinda Rajapaksa to open in January 2015. By the time the café was to be opened, there was a new president in Sri Lanka so the opening was conducted by a local dignitary, the Governor’s secretary Mr.Illankovan. Kandan particularly wanted me to mention how helpful the then Northern Province Governor, Major General Chandrasiri, had been setting this up. Kandan tells me he had received a verbal promise from the Governor’s Office that he could have the café for five years. 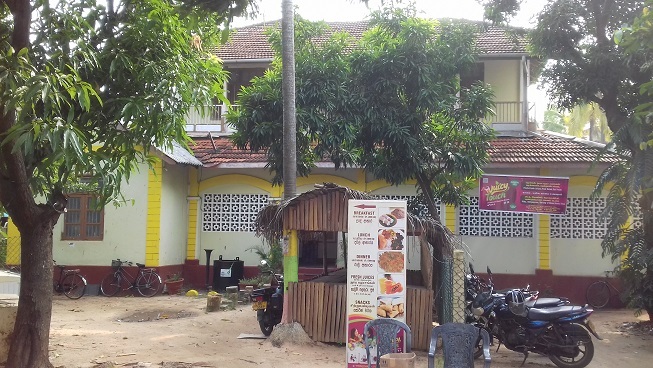 However because there was no written agreement, when Chandrasiri left the Municipality decided to put management of the café out for tender annually. It is a testament to Kandan’s success running the café that competition for the tender meant he had to bid four times as much for the second year as he had paid in the first. The successful bid in the third year was double that of the second year, and so Kandan decided it was too much. In 2016 Kandan gave up the café to another caterer who outbid him. Kandan rents a large old house for his business, which had once been a girls’ hostel run by the Methodist Church. Unfortunately as it is not directly on the main Hospital Road the number of people coming into the café has fallen compared to his Old Park business. Kandan allows an organic vegetable market to run from his premises on Fridays. This is successful, though Kandan doesn’t charge any rent or fee for this. Kandan admits he is going through a tough time now. Though he has proved his ability as an entrepreneur, building his tourism business in India. And he has proved his ability as a learner and implementor, leading the Chavakachcheri Food Producers Cooperative into added value foods, and developing his café in Jaffna’s Old Park. Now he is seeking investment for businesses that would comprise a grocery with home delivery of organic food; backpackers’ and dayroom hostel; tourism into the Northern Province. Kandan is an example of someone who has wide experience and proven track record particularly from his time in India. Someone who can identify and develop a business opportunity. And who has the agility to learn new skills and pursue new directions. He is an example of the sort of person who given support, in particular financial investment, can help the North rebuild its economic momentum. In business nothing is certain, and nothing is permanent. An investor must make his own assessment both of the investment and of his own risk appetite. Kandan can be contacted at his email: juicytouchjaffna@gmail.com.